Scott McComb is an entrepreneur in the banking world. As President, Chairman and CEO, he leads the bank in strategy, client consulting, personnel development, and public policy. He serves on many industry boards and not-for-profit boards while being committed to the future of community banking on a national scale through his work with the ICBA. Scott is a graduate of The Ohio State University, the Ohio School of Banking, the OBA Leadership Institute, and the Graduate School of Banking at the University of Wisconsin. He joined Heartland in 1999 as the Director of Internet Banking, charged with launching the first Internet Bank offering by a community bank in the Columbus, Ohio, area. As Scott’s career advanced, he was promoted to the senior management team for Heartland Bank serving all aspects of the bank as Senior Vice President in charge of Customer Relationship Management. He was promoted to EVP/COO in 2004, President in September 2008, CEO in 2009, and Chairman in 2011. William A. Dodson Jr. is Executive Vice President and Director of Community Relations for Rhema Christian Center. He is also Executive Director for the Dayspring Christian Community Development Corporation, established by the church to address the need for affordable housing, employment, literacy and economic development. Bill has received mayoral appointments to the Columbus Cable Advisory Commission and Community Relations Commission and has served on various community councils. Bill was elected to the boards of Heartland Bank and Heartland BancCorp in 2009 and has served on the Bank's Advisory Board. Beverly Donaldson is President of The Inns Management Group in Newark, Ohio. She has a degree in Nursing Science and Gerontology and has gained much experience over the last forty years in business, healthcare and with state and federal regulatory processes. Her company, along with her father’s company, The Jerry McClain Company, have developed and opened 26 senior assisted living communities in Ohio. They continue to own and operate twelve of them. Beverly is a past board member of the Alzheimer’s Association and a past member of both Zonta International and Granville Rotary Clubs. She currently serves as a trustee for the Ohio Assisted Living Association and past trustee for Hospice of Central Ohio, and is a member of Argentum, the National Assisted Living Association. Beverly was elected to the boards of Heartland Bank and Heartland BancCorp in 2016. Jay B. Eggspuehler, Esq., is a member of Isaac Wiles in Columbus, Ohio, where he has been practicing since 1989. Prior to this time, Jay’s focus was in the area of aviation litigation, where he supervised nationwide litigation involving various aviation manufacturers and airlines with Mendes & Mount, LLC, in New York, NY. Today, Jay litigates in a wide range of areas, including products liability, insurance defense, lender liability, aviation, and motor carriers. He is a member of several professional associations, including the Defense Research Institute, Trucking Industry Defense Association, Transportation Lawyers Association and the National Transportation Safety Board Association. He has numerous published decisions to his credit. Jay was elected to the boards of Heartland Bank and Heartland BancCorp in 2008 and has served on Heartland Bank's Advisory Board for several years. Jodi L. Garrison is a partner with Hirth, Norris & Garrison, a full service accounting firm dedicated to providing close personal attention to their clientele. Before joining Hirth, Norris & Garrison, Jodi was controller for a management-consulting firm. She is a member of the American Institute of Certified Public Accountants and the Ohio Society of Certified Public Accountants. Her areas of specialty include management consulting, tax preparation, accounting services and installation of accounting systems and software. 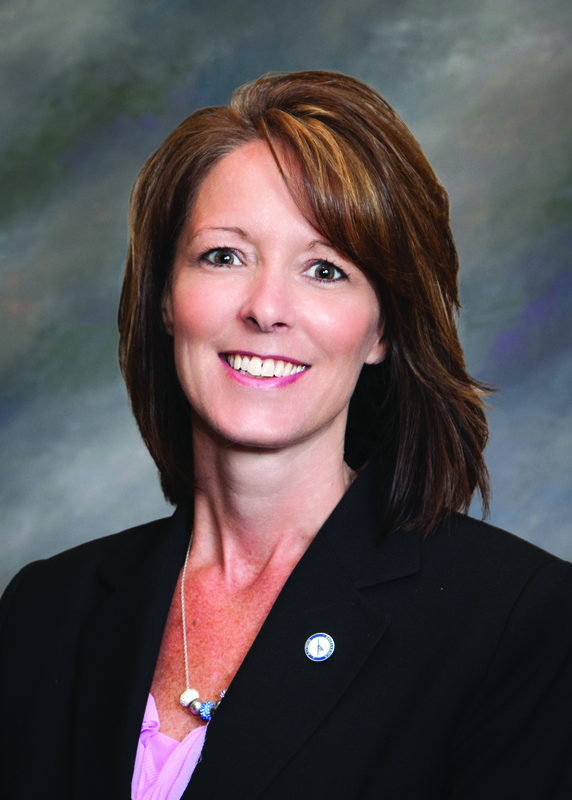 Jodi has been a board member of Heartland Bank since April of 2004 and Heartland BancCorp since April of 2004. David Kotary is a retired Senior Vice President, Marsh & McLennan Agency, LLC, which has provided insurance and consulting services to the business community since 1935. David has given his time and talents to many organizations in the Westerville community, including the Westerville Education Foundation and the Westerville Chamber of Commerce. He was once named Westerville Area Business Person of the Year. David is a past president and former board member of the Professional Insurance Agents of Ohio. He was elected to the boards of Heartland Bank and Heartland BancCorp in 2004. Cheryl Krueger is the founder and former President and CEO of Cheryl & Co. She started the company in 1981 in Columbus, Ohio, with a single cookie store that flourished into a $50 million corporation. She sold the company in March 2005 and remained the CEO until she retired in 2009. Cheryl recently founded KRUEGER & CO. Consulting, Inc., and serves as its CEO. The primary focus of this company is to help companies develop creative marketing and sales strategies as well as evaluate and identify opportunities in product development, operations, logistics, and improve financial performance. Cheryl currently serves on The Ohio State University Board of Trustees, The Ohio State University Medical Center Board, and The Ohio State University Foundation Board. She has also served on the Board of The James Cancer Hospital and Solove Research Institute Foundation as its past President, and the Board of Trustees for the Columbus Academy. Her past board involvement also includes the Federal Reserve Board for District 4, the Ohio State University 4-H Foundation Board, The Ohio State University Human Ecology Advisory Board and the board for Bob Evans Farms, Inc.
Cheryl has received awards from many prestigious organizations including the YWCA Woman of Achievement Award, the Business Person of the Year Award from the Ohio State University, and the Business Integrity Award given by the Greater Columbus Better Business Bureau. Following her induction into the Ohio Women’s Hall of Fame, she was selected as Female Entrepreneur of the Year for the United States by Working Woman Magazine. Cheryl was elected to the boards of Heartland Bank and Heartland BancCorp in 2016.. Retired Executive Vice President & Chief Operating Officer,Technical Rubber Company, Inc.
Robert C. Overs retired from Technical Rubber Company, Inc. (TECH) having served in several senior leadership positions over a 27-year career with the company, including Executive Vice President and Chief Operating Officer. Bob is a military veteran having honorably served as a member of Headquarters, U.S. Air Force Office of Special Investigations and was awarded the Air Force Commendation Medal for meritorious service. He graduated with honors from The Ohio State University – The Max M. Fisher College of Business and holds the designation CPA (Inactive). Prior to his extensive and successful career with TECH, Bob was employed by Coopers & Lybrand LLP in Columbus, Ohio. He also serves on the Board of Directors of the Osteopathic Heritage Foundation and is an active community volunteer. Bob was elected to the boards of Heartland Bank and Heartland BancCorp in 2012. Gary D. Paine operated a franchise for Pilot Freight Services and CMH Pilot Cartage Services until he sold both businesses in 2018. He currently is the owner of SB 43 Properties, LLC, and has a strategic leadership role in Accurate Transportation Companies, a full truckload company. Gary and his late wife founded Accurate in the mid 1980’s. Gary is a graduate of Robert Morris University with a degree in business. While attending school, he worked night operations for an airfreight company and after graduation, he purchased two trucks and began a business as an owner-operator at LAX airport. After selling that business, Gary took a sales position with a major air freight company and received several promotions and transfers in operations, sales and management throughout the Midwest. He is past President of the Council of Logistics Management, past President of The Columbus Air Cargo Association, a past member of the Board of The Columbus Region Logistics Council, a past member of Franchise Owners Advisory Council of Pilot Air Freight Services, past member of the Inland Port Commission Advisory Council and a guest speaker at The Ohio State University classes in Transportation and Logistics and Aviation. Gary was elected to the boards of Heartland Bank and Heartland BancCorp in 2012. William J. Schottenstein is a resident of Columbus, Ohio, and principal in Arshot Investment Corporation. He graduated with honors from the Wharton School of Finance and Commerce at the University of Pennsylvania. Following his undergraduate work, he attended New York University Law School and then graduated from The Ohio State University College of Law. Prior to forming Arshot Investment Corporation with his brother in 1982, Bill practiced with two New York City law firms. Arshot is a niche real estate developer which takes pride in effectuating a variety of innovative and challenging projects, many of which involve the adaptive reuse of urban landmarks. Bill is a past commissioner of the Brewery District Commission, past member of the Bexley City Council, past Chair of the Bexley Main Street Commission, past director and treasurer of the Columbus Academy, past member of the Ohio Public Works Commission and past board member of the Columbus Landmarks Foundation. Bill was elected to the boards of Heartland Bank and Heartland BancCorp in 2014. George Smith retired as the Executive Vice President and Chief Financial Officer for Heartland Bank and Executive Vice President, Treasurer, and Chief Financial Officer for Heartland BancCorp. During his tenure at Heartland Bank, he also served as the Chairman of the Asset\Liability Management Committee, Chairman of the Technology Committee including responsibility for contractual agreements and vendor management, and as the Director of Internal Audit. George began his career with Heartland in 1995 and retired in 2015 with 40 years of financial institution experience. He graduated from The Ohio State University in 1971 with a bachelor’s degree majoring in Accounting and Political Science and is a Certified Public Accountant. He has attended numerous professional development education programs in conjunction with both financial institutions and certification requirements of the Accountancy Board of the State of Ohio. George is a past member of the American Institute of Certified Public Accountants; he previously served as a Director of the Columbus Chapter of the Financial Managers Society and as its past President. George was elected to the boards of Heartland Bank and Heartland BancCorp in 2015. Richard A. Vincent is Chief Executive Emeritus (Retired) of the Osteopathic Heritage Foundation and Osteopathic Heritage Foundation of Nelsonville. Rick led the development and advancement of the philanthropic purposes of the Foundations following the 1998 asset sale of the Doctors Hospital health delivery system to OhioHealth. During his health management and philanthropic career, he was instrumental in advancing access to medical care and biomedical research, working with U.S colleges of osteopathic medicine and medical training facilities. Under his leadership, the Foundations provided over $240 million of support to agencies and organizations dedicated to providing health, education and services to communities, especially in central and southeastern Ohio. Rick’s collaborative work with the Ohio University Heritage College of Osteopathic Medicine has been recognized as advancing primary care medicine which will benefit Ohio citizens for decades and has helped the Heritage College become the largest medical school in Ohio. Rick was elected to the boards of Heartland Bank and Heartland BancCorp in 2012. Carrie is currently serving as the Executive Vice President and Chief Financial Officer for Heartland Bank in Columbus, Ohio. She has 28 years of accounting experience, 22 years of banking experience and has been on staff at Heartland Bank since 1996. Carrie is a member of the Ohio Bankers’ League CFO Forum. She is a graduate and scholarship recipient from the Ohio School of Banking and an alumna of the Graduate School of Banking in Madison, Wisconsin. Carrie holds a degree in accounting from Central Ohio Technical College. She has been actively involved in the youth programs at her church and enjoys giving back to the community through volunteer and mission work. Bob Amerine is the Founder and current Chairman of ISCO, Inc., a Worthington manufacturing company and a partner in Amerine Development Co. Mr. Amerine also was the Founder and President of the APCO Fabricating Company. Mr. Amerine is a long-term director of Heartland Bank and Heartland BancCorp, serving on the boards since December 1988. Bob has also been involved with the Osteopathic Heritage Foundation, The American Red Cross of Greater Columbus, American Apex, Inc. and BC Electronics, Inc.
Arthur G. H. Bing, M.D. Dr. Arthur Bing has served in the Columbus area for over 30 years as an experienced, well known plastic surgeon who continues to practice elective and cosmetic surgery. Dr Bing is also an entrepreneur who has built several medical office buildings. Dr. Bing currently serves on many boards including the American Red Cross, The Columbus Zoo, The Wilds, and Riverside Methodist Hospital. He enjoys giving back to the Columbus community where he has resided most of his life. Dr. Bing has served on the boards of Heartland Bank and Heartland BancCorp since 1989. John Haines is the retired owner of Haines Insurance, Ashbrook Insurance Agency, Baldwin Agency and Samuel C. Mauger Agency. John is also a former mayor of the Village of Johnstown. Mr. Haines has been a Board member of Heartland Bank since 1988 and was elected to the Heartland BancCorp Board in April 1999. Jerry McClain is President and Owner of The Jerry McClain Company, Inc. The McClain Company is now principally a builder of assisted care living centers ranging in price from $5,000,000 to $13,000,000. Jerry owns and operates many of these centers. Has been a builder all of his life. He began his career doing custom homes but has migrated to commercial real estate. He has numerous projects in and around Newark, Ohio. Mr. McClain has been a Heartland Bank and a Heartland BancCorp board member since 1989.